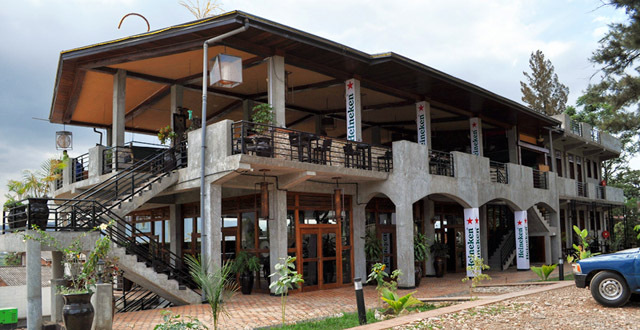 Habesha is a relatively new Ethiopian place on the Kigali scene. Well, relative to Lalibela, that has long reigned as the only Ethiopian game in town. But they’ve stopped their Kimihurura lunch buffet (apparently due to not enough people) so I wonder whether Habesha has become the new go-to place. I’ve always been a die-hard Lalibela fan and, while I was impressed on my first couple of trips to Habesha, I had fond memories of my first Ethiopian restaurant love. Well, I say with a heavy heart that times have changed. Lalibela wronged me on my last visit by serving extremely unappealing-looking injera that was perfectly white. It was weird. It tasted ok but I couldn’t get past the Wonderbread-like colour. It disturbed me and haunts my dreams. This strange bread experience at Lalibela left me wide open for a new Ethiopian restaurant love to come into my life and Habesha has filled that gap nicely. While I think I have a fine palate for discerning an awesome palak paneer or chicken tikka masala from an average one, I can’t claim the same abilities for Ethiopian food. I don’t even know what I’m eating half of the time or which dish is which (beyond noticing slightly varying shades of red in some cases). Considering I spent quite a bit of time coming and going to Ethiopia while I made a map of Addis Ababa, I should probably have extensive knowledge on the subject. However all of the delicious Ethiopian food I’ve eaten over the years has happened without me paying too close attention to what any of it is actually called. One of the reasons for my sad lack of knowledge about each dish is that I only ever order the meat or vegetable sharing platters. These giant plates of food are good for two or three people to share and they’re great value for money. Plus, it’s an awesome way to get a sampling of a bunch of different dishes at once. The problem is that none of the dollops of food come with a name tag so the mystery of what I’m consuming remains. The platters are served on a huge plate with one piece of injera spread across it and most of the dishes are added around the outside. If you get the meat platter they’ll usually add the doro wat (the one with the egg) into the middle. Extra injera is given to each person in little baskets and you just sort of feed your face until all of the sauces are mostly gone, eventually ripping up the base injera to eat that as well. They’ll bring out extra bread if you need it so don’t be afraid to ask for more. These platters are a great way to eat with a group of people, small or large, and they make a great base meal before adding other dishes to make things a bit more interesting or to feed a large group. One dish you might consider adding is tibs which is pieces of lamb chopped up pretty small and cooked. I remember tibs that I’ve had in Ethiopia being served dry with a nice crispiness to each piece and no sauce or vegetables to speak of. The dish we got at Habesha was a lot more saucy, with peppers and onion. Apparently tibs is prepared in a variety of different ways with varying levels of spiciness so maybe this is the special Habesha way. Regardless, it’s tasty and the sauce makes it good for injera-dipping. Another great addition (and my favourite Ethiopian dish) is doro wat. You’ll get a serving of this dish as part of the meat platter but it’s delicious and usually the one I eat the most of, so I always convince my fellow diners to opt for an extra serving, lest I hog it all and leave them with none. It’s actually the sauce part that I love the most, and I would happily do without the egg or the chicken, I just don’t know what to order for only sauce. But people love this dish and it’s one of the most popular in Ethiopia, especially on special occasions. Habesha is always a hassle-free lunch or dinner. The service is friendly and laid back while still managing to get the food and drinks out without any problems. The food comes quickly (do they just have pot of all of the different dishes bubbling away in the back, or something?) and it’s always hot and delicious. The injera here is closer to the colour I’m used to from having it in Ethiopia but it’s still slightly different, I think because of the flour used. This is going to cause everyone to laugh in my face – but I actually prefer the faux Kigali injera than what I’ve had in Ethiopia. Yes, I admitted that. Yes, I am ashamed. It’s less sour-tasting or something and I’m a fan. Overall I really love coming to Habesha. 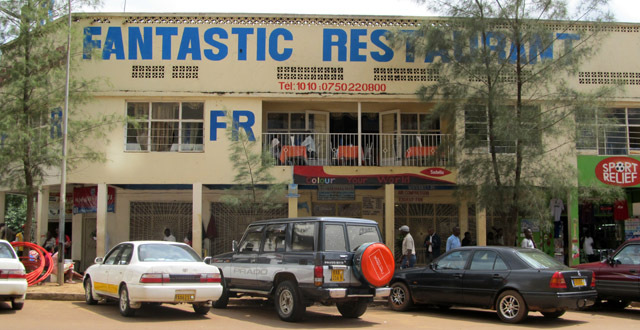 The atmosphere is relaxed and the food is always fast and tasty. Plus at lunch they throw in delicious Ethiopian coffee to fire you up for the rest of your day! Give it a try and let us all know what you think in the comments below. Nice article as always. I wish you can edit the title though. As a habesha, I wasn’t sure what to expect unless you did that on purpose (good job!). I was away from Kigali for some work and in my host nation, we went to a habesha cafe. The guy asked me “Do you notice your food is typically higher than other countries?”. Boy was he right but I think it is worth the cost anyway. Andu and Elisa. Thank you for the great hospitality in June. I hope I will come soon. Agreed on the less funky, sour, fermented, or whatever injera. We ordered this from Jumia and for someone who’s has lived in DC for most of my life, I can attest to the varying degrees of funky injera. 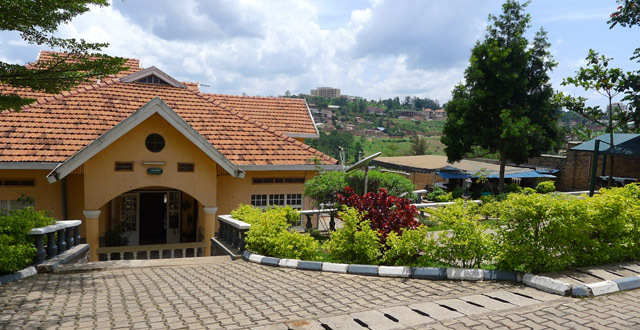 I preferred the bland Kigali version as well, sue me. Yes!! Glad I’m not the only one!